The cutscenes in Ace Combat 7: Skies Unknown take place in gorgeously rendered environments populated by excellent 3D character models. Also, this static picture of a very good dog. 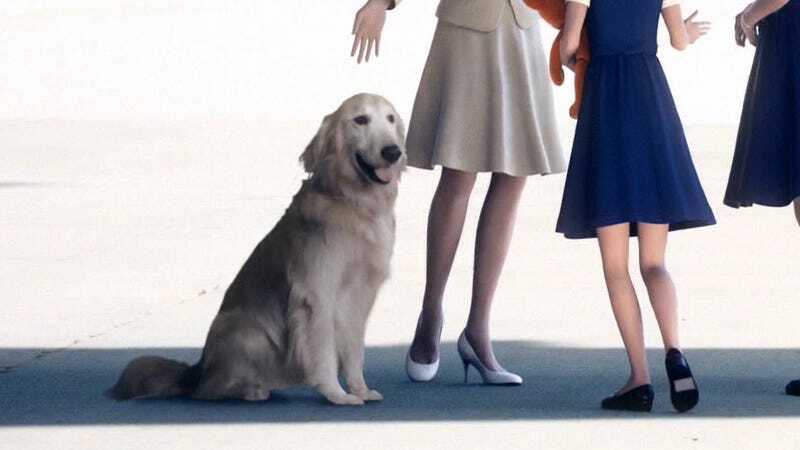 Introduced in a lengthy cutscene leading into the game’s sixth mission, Ace Combat Dog sits stoically by its master’s side. Its tail never wags in excitement. Its chest never heaves with breath. Its body wavers slightly in what seems to be a heat haze, but otherwise the dog is as still as the photo it obviously is. Why a two dimensional dog? I do not know, but I feel like Twitter’s @Watchsymphogear’s explanation is the best. 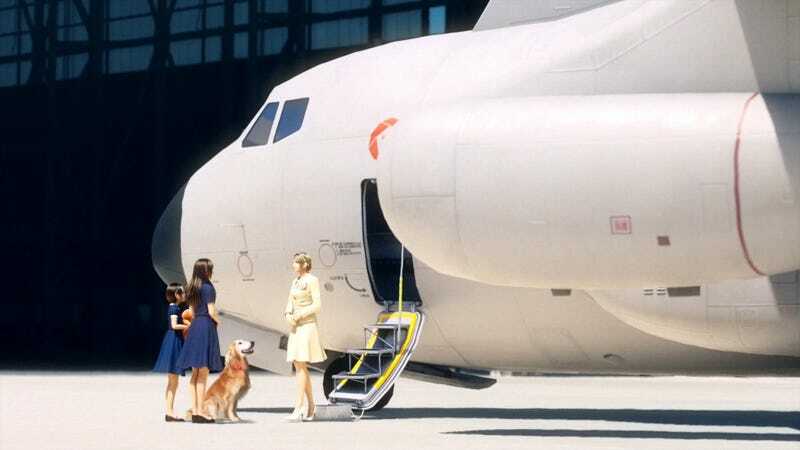 Ace Combat Dog has to move at some point. When first introduced, it’s looking up to its master, the princess of the fictional kingdom of Eursea, adoringly. In the next shot, it’s looking into the camera. Or at least its eyes are pointed toward the viewer. It’s unclear whether or not Ace Combat Dog can even see into our complex third dimension. Either way, Ace Combat Dog is a lovable pupper, and we hope to see it in more games in the future. Or even right now, via the magic of transparent PNG files. 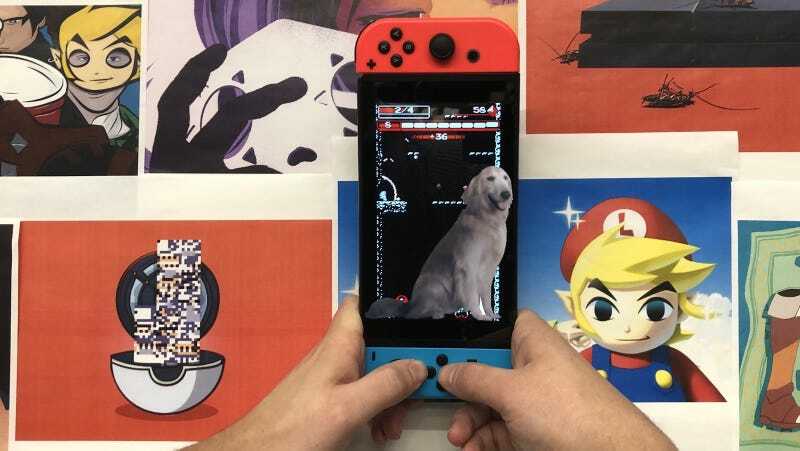 Now we can take Ace Combat Dog everywhere. 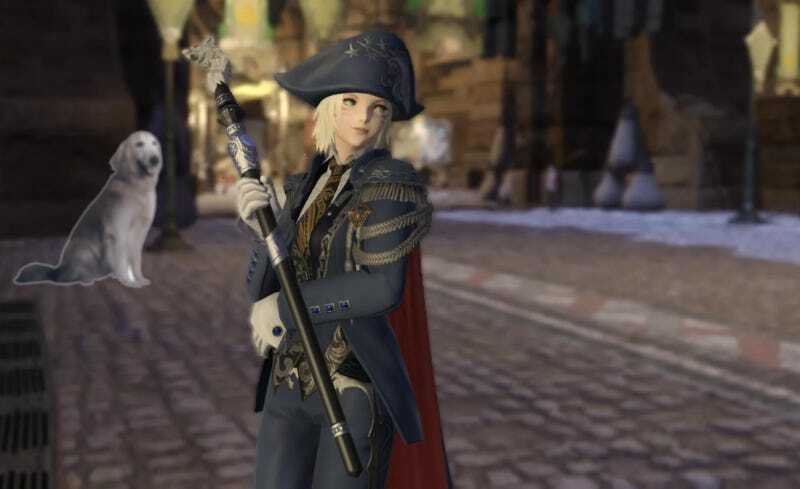 Like Eorzea. 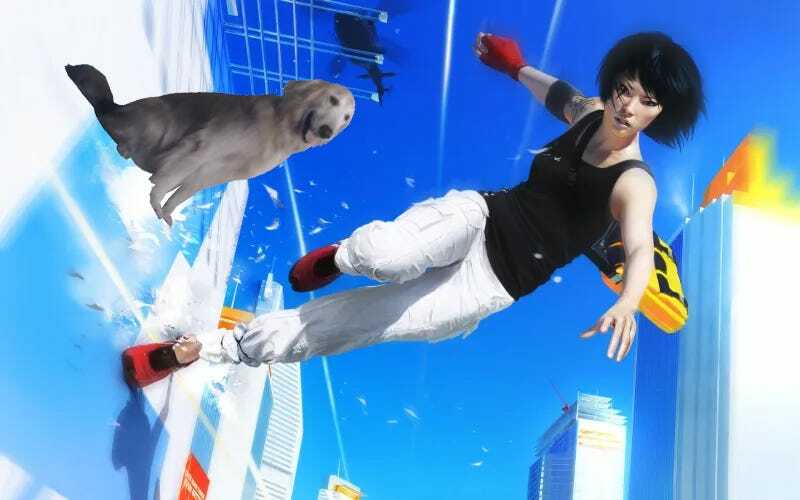 The world of Mirror’s Edge. And even Kotaku editor-in-chief Stephen Totilo’s Nintendo Switch. So spread the Ace Combat Dog love. Just because it’s two dimensional doesn’t mean it doesn’t love hugs.